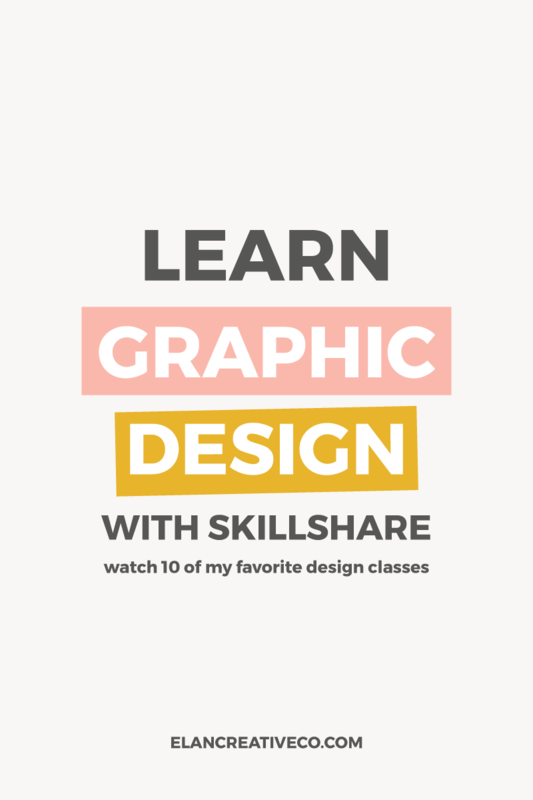 Learn graphic design with Skillshare ~ Elan Creative Co. This week, I spent a lot of time binge-watching videos on Skillshare. I love Skillshare because you can learn graphic design and so many other things by watching short videos made by experts. I also love watching video tutorials because they help me improve my own tutorials and help me come up with ideas for new products. In case you are not familiar with this platform, Skillshare is an online learning community with thousands of classes in design, business, technology, and more. You can watch videos on their website or use their mobile apps. Disclaimer: This post contains affiliate links. That means I get a small commission if you decide to make a purchase using my affiliate link. However, I love Skillshare, I love these classes, and I wouldn’t recommend them if I didn’t find them helpful. Another great thing about Skillshare is that it’s affordable. You can take hundreds of classes for as little as $8.25/month. And if you sign up using my referral link, you will get the first two months for FREE (and cancel anytime you want). If you want to learn graphic design or if you want to learn how to improve your blog’s visuals, it’s important to start with the core principles of design. This class will teach you the 5 basic design principles and will show how to use these skills in your future projects. I love using Illustrator and Photoshop for my designs. Since many of you have asked me about classes for beginners, here’s one of my favorite Illustrator classes. You will spend 2 hours learning how to use Illustrator and the basic tools, and you will also make a poster as a class project. This class is perfect for beginners and experienced Illustrator users. DKNG designers Dan Kuhlken and Nathan Goldman will teach you how to improve your workflow in this 40-minute class and they also provide a cheat sheet with Illustrator shortcuts for Mac and PC. 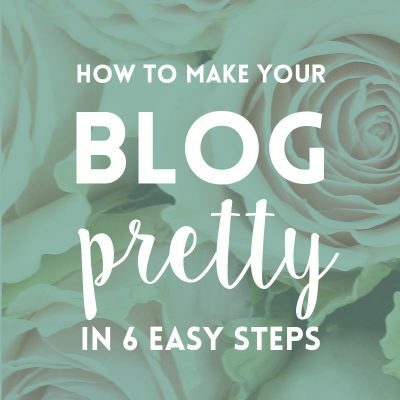 Photoshop is great for photo editing, making social media graphics, and for illustrations. 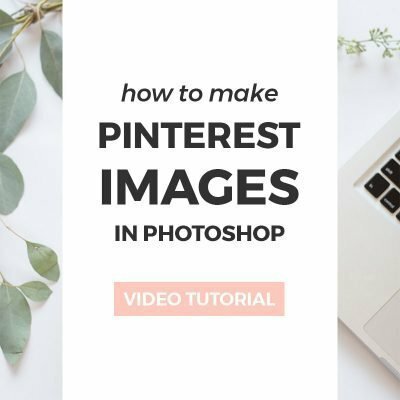 If you find Photoshop intimidating, spend the next hour taking this class and you will learn how to use its most important tools and how to make a moodboard. In this class, Dylan Mierzwinski will show you how to transform your drawings into digital illustrations using Photoshop. You will learn how to digitize your drawings, how to color them and add textures. I watched this class yesterday and loved it! Well, I love all of Dylan’s Skillshare classes and you should watch them too. In this class, Anne Bollman will show you how to turn your sketches into illustrations using Photoshop. It’s similar to the previous class, but I love it because it teaches how to make a cute puppy illustration and you get to learn so many things about Photoshop and how to improve your workflow. This course is perfect for bloggers and small business owners that want to learn graphic design. 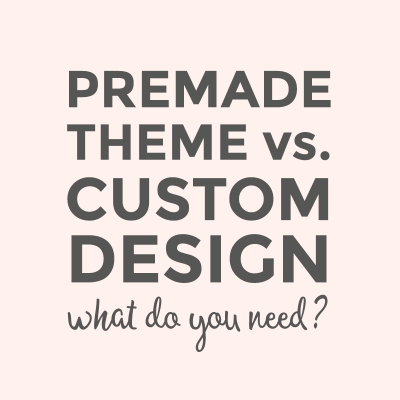 Teela Cunningham will show you how to brainstorm your brand, choose the perfect typography, create your logo, and watercolor textures. You will also learn how to save your logo for web and print. I recommend watching all of Teela’s Skillshare classes and YouTube videos. If you want to learn more about surface pattern design, Bonnie Christine from Going Home to Roost will show you how to use Illustrator to create repeating patterns. This class is great because you will not only learn how to make patterns, you will also learn how to use Illustrator, how to create sketches, how to vectorize them, and how to create custom color palettes. Elizabeth Olwen is one of my favorite pattern designers and this is probably the first Skillshare class I took. You will learn how to create surface patterns in less than an hour. 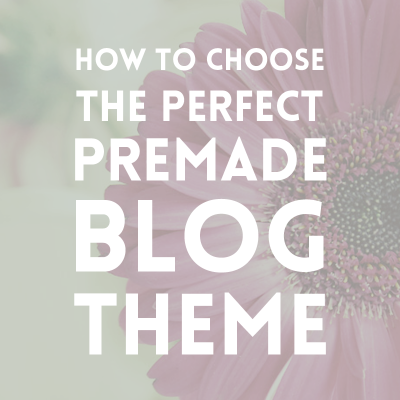 And Elizabeth also shares how to collect inspiration and how to prepare your files for web and print. Typography is an important part of graphic design, and if you want to learn or improve your calligraphy, I recommend taking Bryn Chernoff’s class. I love this class because it teaches you about the tools you need to get started, shows you how to set up a workspace, and how to turn your handwriting into beautiful calligraphy. Do you take classes on Skillshare? What are your favorite design classes?